If you weren’t born with a flawless smile, you’re in good company. 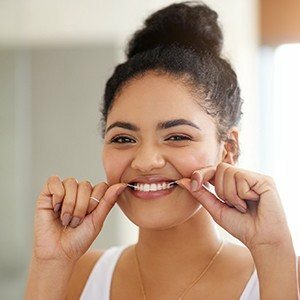 While many of our patients think only celebrities have access to cosmetic dentistry, our Carrollton dental team can help you create a gorgeous smile you can share with complete confidence. 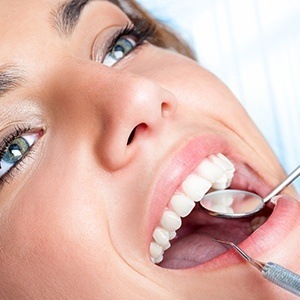 At Aegis Dental, we offer a variety of cosmetic dentistry services, including porcelain veneers. These veneers are a popular cosmetic dental option that can help patients quickly enhance their smiles. If you want to learn more about our available smile makeover options like custom porcelain veneers, call our Carrollton dentistry office to schedule a cosmetic dentistry consultation appointment with our skilled dentist and team. Veneers are thin sheaths of dental grade porcelain that are affixed to the fronts of teeth to conceal a number of smile flaws. Once in place, your veneers will look like a picture-perfect smile. Porcelain veneers are placed over the course of two trips to our office. 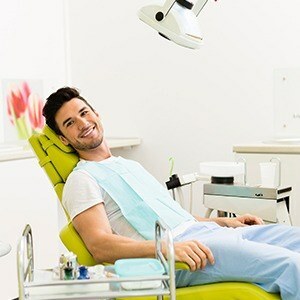 At the first appointment, we prepare your teeth. We need to remove a very thin layer of tooth enamel. That ensures your veneer will blend seamlessly into your smile. When the teeth are prepared, we capture impressions of the smile. These impressions are sent to the lab where your custom veneers are crafted. To protect your smile and allow you to get used to the look and feel of your veneers, we place a temporary. When we receive the final restoration from our lab, you’ll come back for the second appointment. During this visit, we’ll remove the temporaries and attach your flawless custom veneers. Porcelain veneers are crafted from high quality ceramics that will maintain their natural appearance and structure for years even with normal daily wear and tear. You should carefully brush and floss each day and visit our office every six months to keep the veneers whole and healthy. During a dental exam, we can make recommendations to help you improve your at-home hygiene routine. You may want to switch to a softer toothbrush or minimally abrasive toothpastes to avoid excessive wear. A waxed floss may also be helpful to avoid catching around the restorations, which may loosen the veneers. You should also wear an athletic mouthguard to protect your smile during sports events or competitions. If you experience unconscious teeth grinding and clenching, you may need to wear a nightguard to avoid damaging your veneers. You should also kick habits like nail or ice chewing and use the proper tools to open packages rather than using their teeth.